Everyday hundreds drive by this one-story brick storefront located on the southwest corner of 8th Street and Monroe Drive. 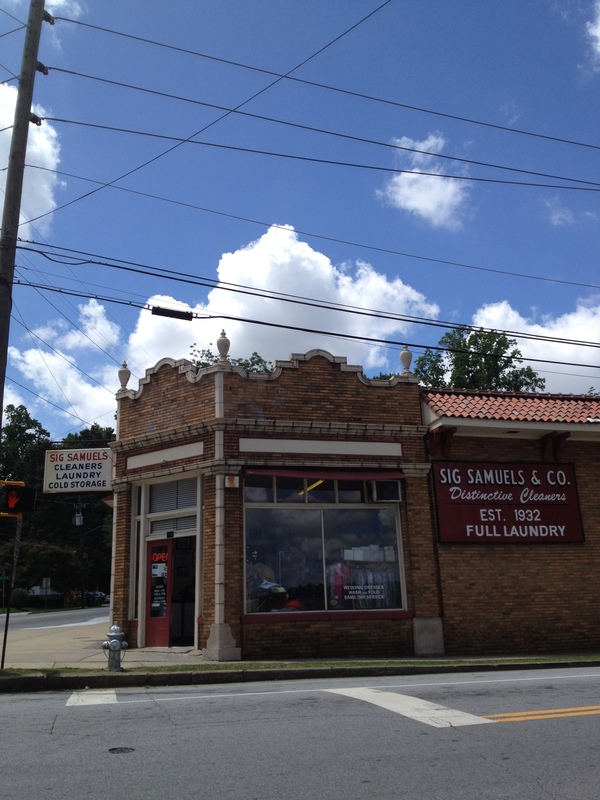 If you live in Midtown Atlanta you’re certainly familiar with Sig Samuels & Company (known as Sigs to the locals) the iconic laundry and dry cleaning business that serves everyone from neighborhood hourly workers to international celebrities such as CeeLo Green and Andre 3000. 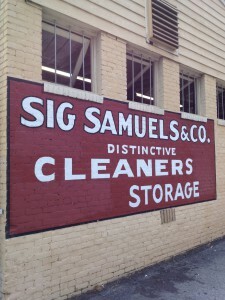 Most people are ignorant of the story behind the building and Sig Samuels himself, an ancient name from the history of Atlanta that is kept alive by this modern dry cleaning business. 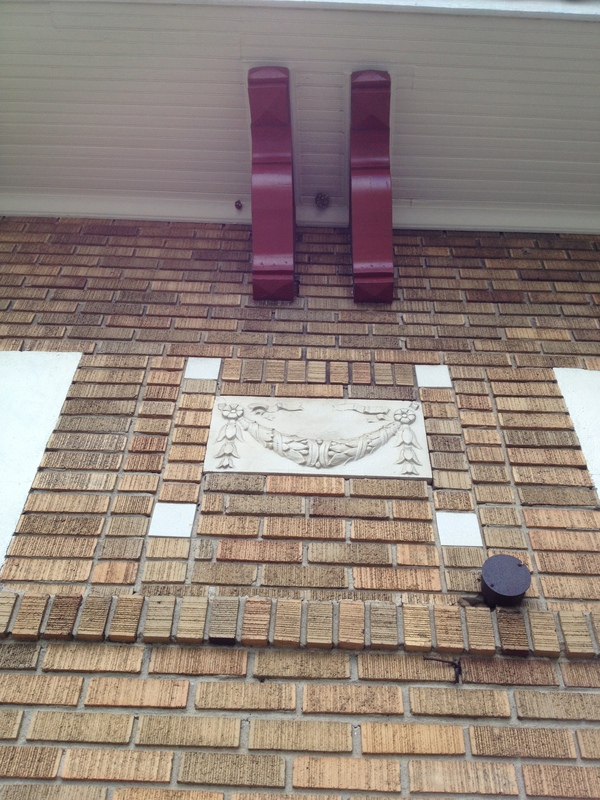 His story mirrors the present-day owners, the Collins family, in a way that is surprising. Born in Germany in 1875, Sigmund Samuels came to Atlanta and proved this quote wrong, establishing himself as a successful business owner, leading entrepreneur, movie theater manager and skyscraper builder. The quote exhibits the tensions and fears of Jews during the time, and underlines the remarkable success of this man. 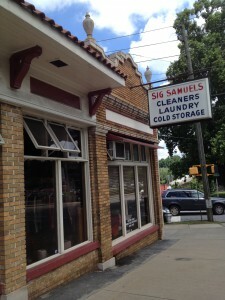 Sig Samuels was an active member of the Temple, Atlanta’s Jewish congregation of middle-class families during a time when Jews in America faced increasing racism. For an example of the problem Jews faced during this era in the South see what happened to Leo Frank in 1915 in Marietta (read more about Leo Frank here). Sig Samuels the man is complex, offering a story of immense wealth mixed with the beginnings of Atlanta. He wasn’t perfect. 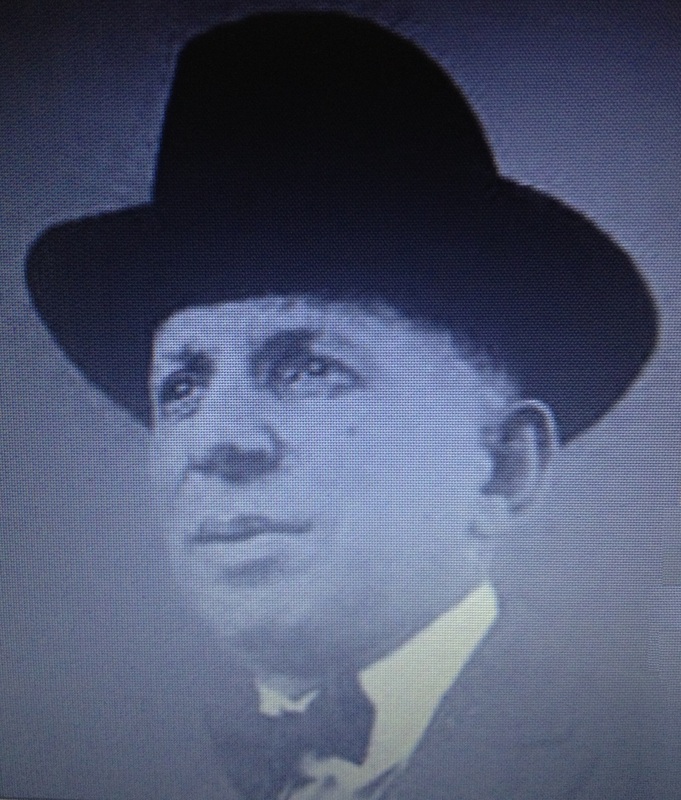 Sig Samuels, despite his prosperity, ran afoul of the law several times in his life. Ironically Sig Samuels never cleaned a shirt for another person in his life. After coming to Atlanta as a youngster he worked at a dry goods store before going into business for himself. 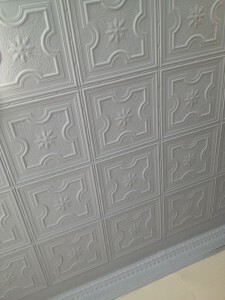 From the years 1897 until 1912 Samuels made significant money with mail order mercantile businesses and retail ventures, eventually concentrating on building and managing motion picture theaters and office buildings after 1912. In fact, Sig Samuels was a big name in the early motion picture industry, erecting the six-story Metropolitan movie theater and office building in downtown Atlanta in 1921, a historic structure for the city in both size and scope. Before the Metropolitan his early businesses during the 1900’s and 1910’s were pool halls and pharmacies, along with a liquor distribution company named Glendale Springs Distilling Co., all of which are listed in newspapers of the time (1907-1909) as being owned by Adolph and Sig Samuels. 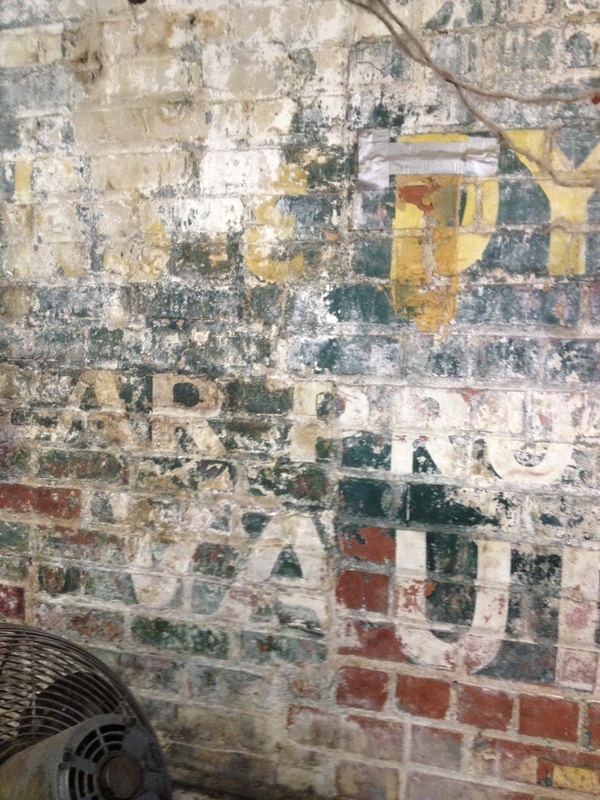 Some of these establishments offered medicinal whiskey, rye and sherry along with patent medicine, such as Coca-Cola (a much different formula back then that included cocaine). While Adolph and Sig were Jews, the Atlanta Journal & Constitution mentions they created “whites only” establishments, one of which was located at 1906 Mitchell and offered pool, soda water and cigars. This story makes sense, since Sig Samuels opened the Metropolitan, the six story movie theater and office building mentioned above on July 5, 1921. Construction for this behemoth in downtown Atlanta on “Luckie Street, between Broad and Forsyth” would have occurred during 1920, right when 906 Monroe is listed as being built. Considered a skyscraper of the time, a project on the scope of the six-story Metropolitan (it was projected to cost $500,000 to build) could certainly have enough leftover materials to construct 906 Monroe Drive. Cold storage units were used before home air conditioning was available, specifically for women’s furs. In Atlanta’s hot and humid summers many of the homes in upscale neighborhoods such as Druid Hills lacked large closets. Thus being the case, the wealthy required a place to store expensive winter furs. 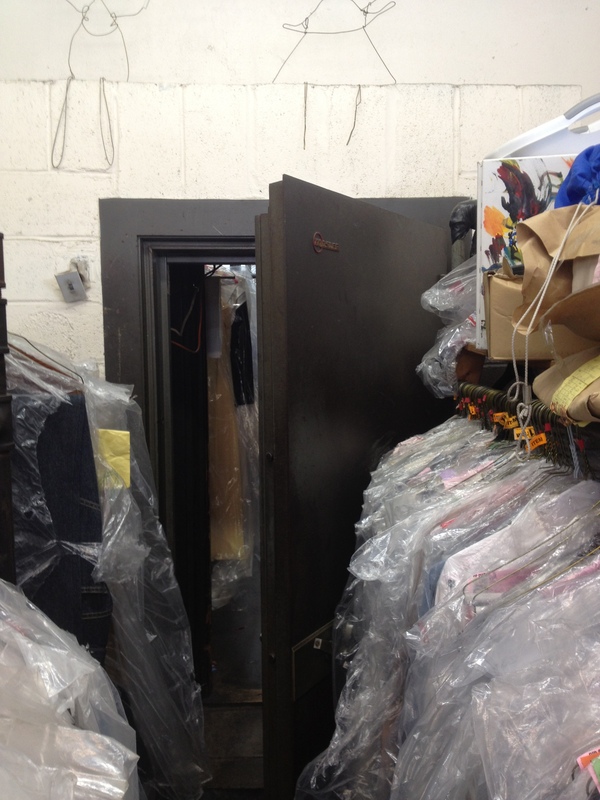 Because of the price of the furs, clients preferred a safe, secure and extremely cold storage unit during our sweltering summers. 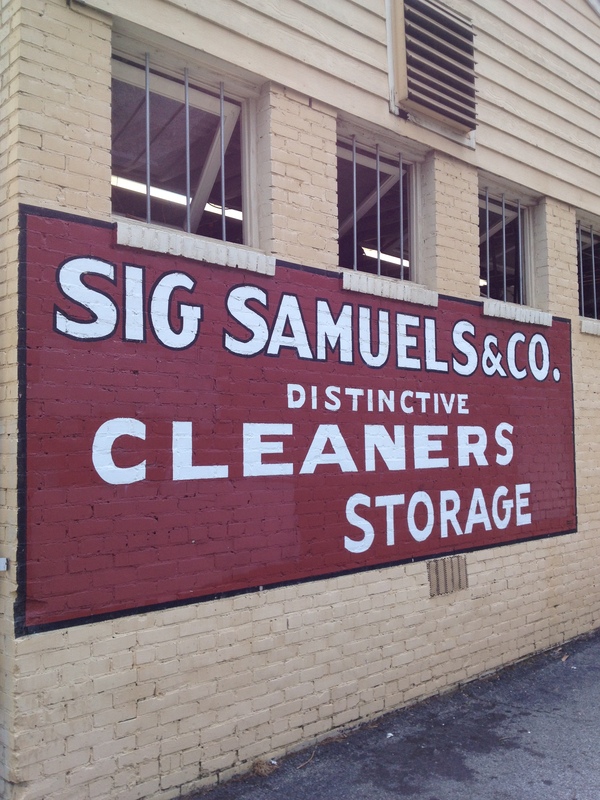 Sig Samuels Dry Cleaning, which officially started in 1932, offered this particular type of storage. The Mosler vault that was locked every night and cooled by an air conditioner is still in the building, although it no longer provides cold storage for current clients. According to the current owners, when it first opened as a dry cleaner it was operated by a member of the Samuels family and not Sig. Despite his wealth and social standing, Sig Samuels did have problems with authorities, which are well documented by the newspapers. One of these problems traveled all the way to the Supreme Court. 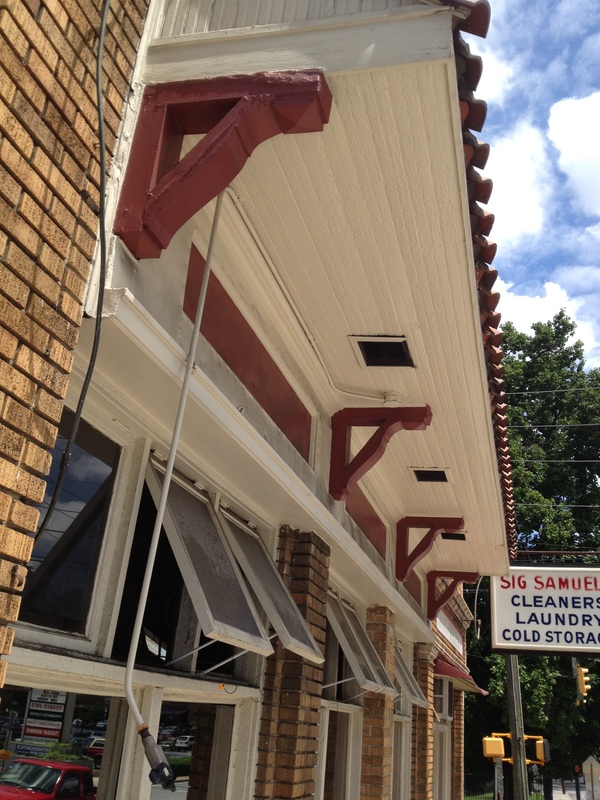 In 1925 Deputy Sheriff Phillips of Dekalb County obtained a search warrant for Sig Samuels’ home. In the search they discovered a large volume of liquor. This was during the time of Prohibition, and liquor was illegal, so it was seized and set to be destroyed. 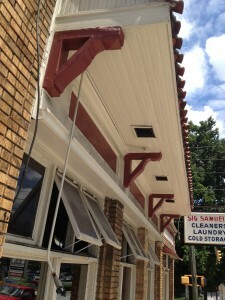 Sig Samuels filed suit against J. 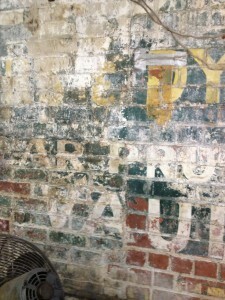 A. McCurdy, the Sheriff of DeKalb County, to have the liquor returned, since Sig Samuels had receipts showing he had purchased the liquor between 1907 and 1915 (before Prohibition) for a total cost of $400. In the case Sig Samuels v. J. A. McCurdy, the U.S. Supreme Court decided our government had the right to seize and destroy any liquor without compensation to the owner, regardless if the liquor was purchased before the passage of the Prohibition Act. Again in 1933 Sig Samuels was in trouble, arrested for selling beer above the legal alcohol limit of 3.2%. Atlanta Mayor James L. Key passed a city ordinance in December of 1933 declaring the new alcohol percentage, and Sig Samuels was arrested shortly after as a test or example to other liquor distributors. The struggles that Sig Samuels the man encountered with local and national authorities mirrors struggles that the current owners of Sig Samuels Dry Cleaning have encountered with the city of Atlanta. They are the Collins family, and if you go into Sigs, you certainly know each of them by name. For the Collins family, the laundry business began when Tom A. Collins Sr. started a dry cleaning pickup and delivery service after World War II in Midtown Atlanta. 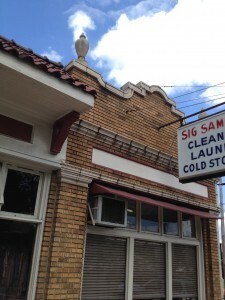 One of the dry cleaners he would use was the Sig Samuels Cleaners, and Tom purchased the location and building in 1962. Three sons continued operations after the older Collins retired. During the course of 35 years one of Tom’s sons, Larry Collins, established himself as the “Mayor of Midtown” greeting the public, while the other two brothers focused on operations. And just like Sig, the Collins family clashed with the city of Atlanta. Today on Monroe there’s a sidewalk that runs next to Sig Samuels. But before 2007 there was no sidewalk and customers could pull up from Monroe Drive right into parking spots. When the city of Atlanta decided to destroy this parking in favor of the sidewalk, Larry Collins made news protesting the city. Like Sig, the Collins family lost their battle with the city and the sidewalk was built. Larry Collins passed away in 2011, but his brothers and several members of the third generation of the Collins family still operate on the same high level, providing incredible customer service. It’s refreshing to see a family-owned business here in Midtown Atlanta utilizing a historic building. On my visit I encountered three different members of this family: Steve Collins, Tom Collins Jr. and Mike Collins. Sig Samuels & Company is located on the corner of 8th and Monroe. If you wish to write, try 906 Monroe Drive Northeast, Atlanta, GA, 30308. Visit the Sig Samuels website here. 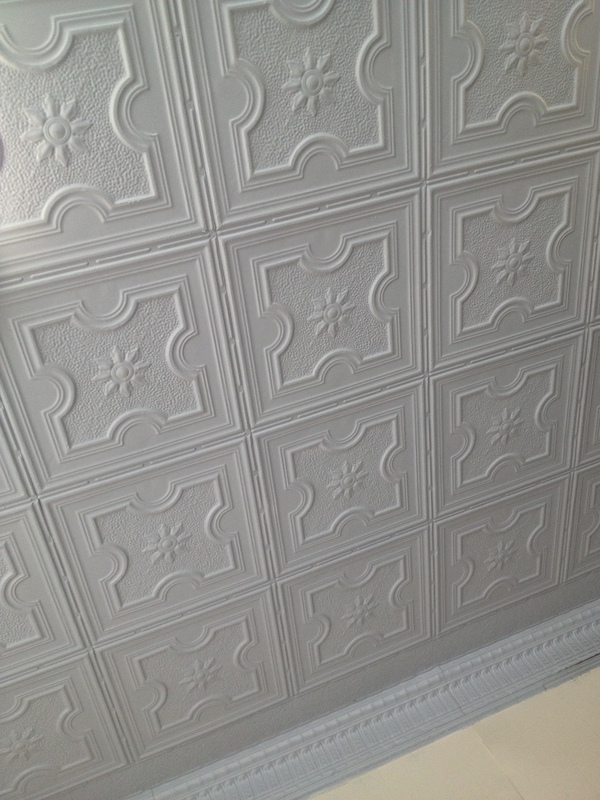 Sig Samuels has been owned by the Collins family for more than 50 years. Email them or call them at 404.872.2233. Did you know? 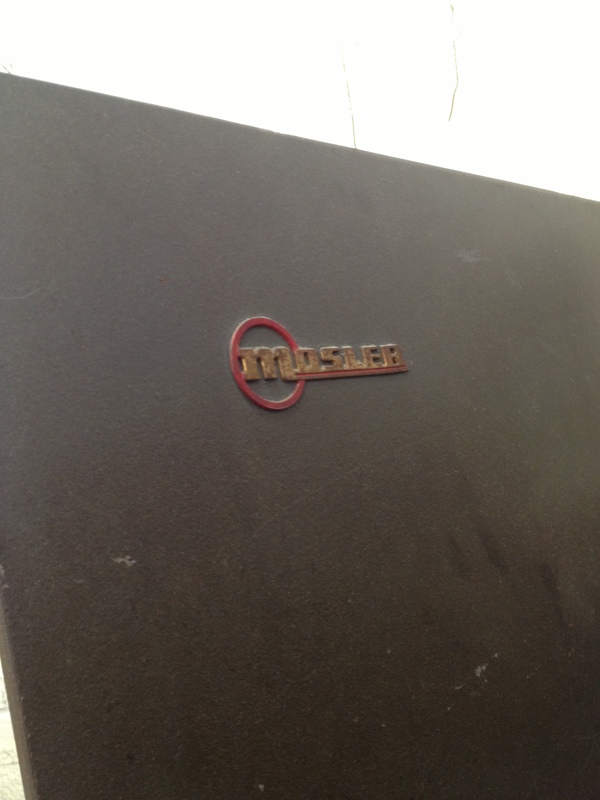 The Mosler Safe Company was started in Cincinnati in 1867. Did you know? 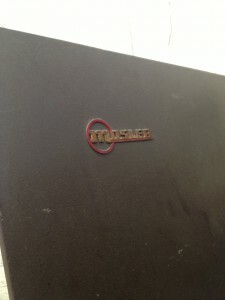 The Mosler Company, which built the vault in Sig Samuels Dry Cleaning, also built missile silo doors. Did you know? That several Mosler vaults were installed in Hiroshima’s Mitsui Bank building prior to World War II and survived the nuclear attack. Did you know? A Mosler vault displayed and stored the United States Constitution and the Declaration of Independence. Those guys are the best dry cleaners in Midtown. 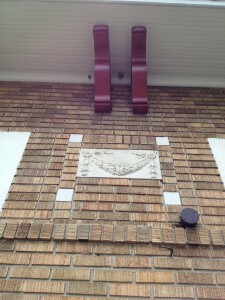 Great to hear the story behind the building and man Sig Samuels.